Everythiong was very good just only one thing faculty timing prbolem else great. Faculty are not that par Good highlight, college building and campus is awesome. 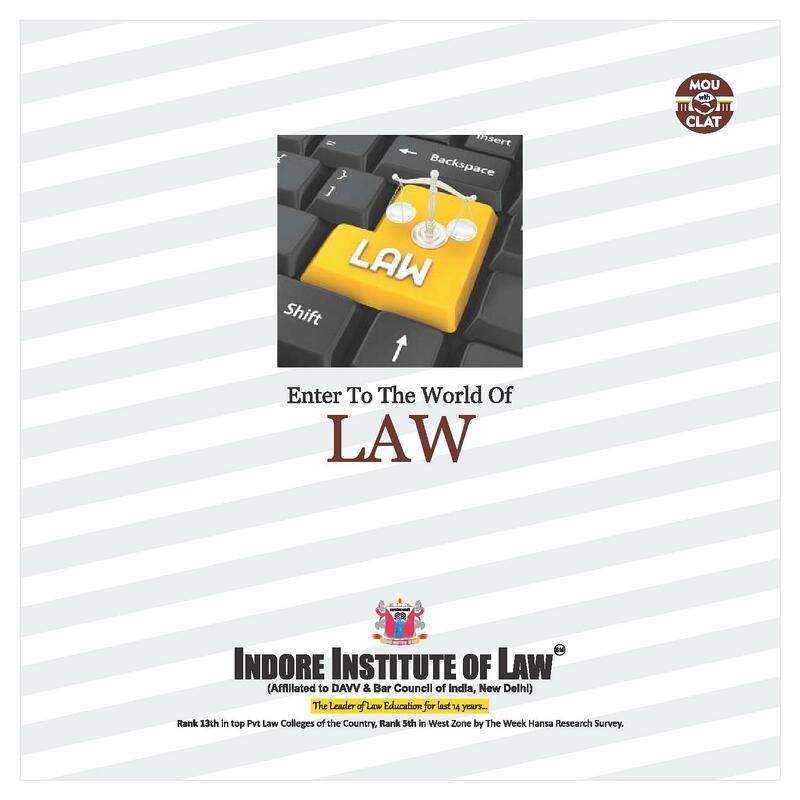 Indore Institute of Law (IIL) was established with the objective of bringing about intellectual awakening and overall development of people of our country through education. 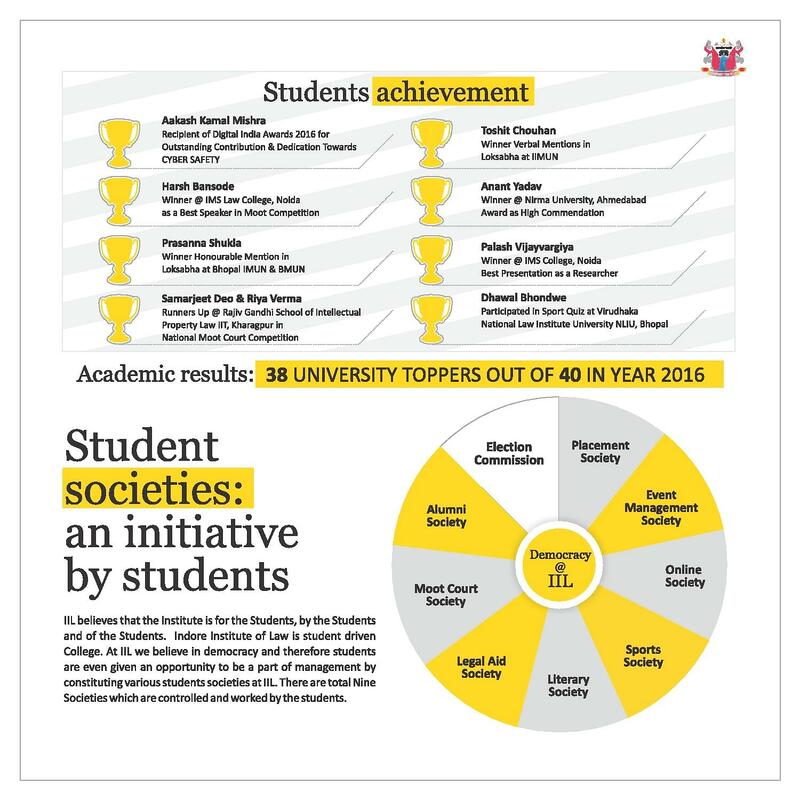 The IIL has now become the leading Law school in the country. The college imparts education in different education in the different discipline including Law, Nursing, Management and MSW. 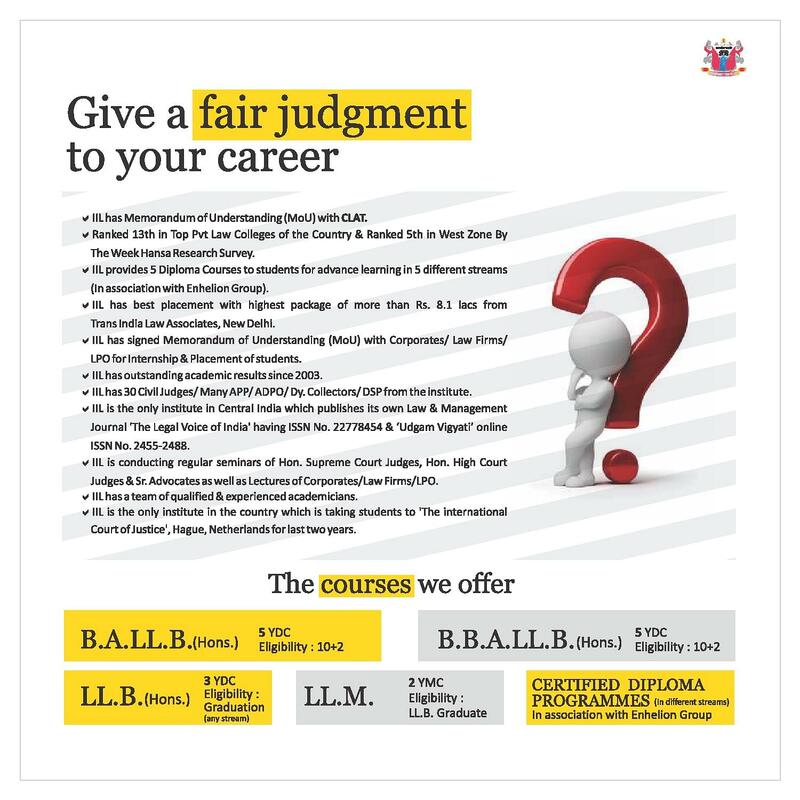 Indore institute of law is the first independent & exclusive college of law in Indore. 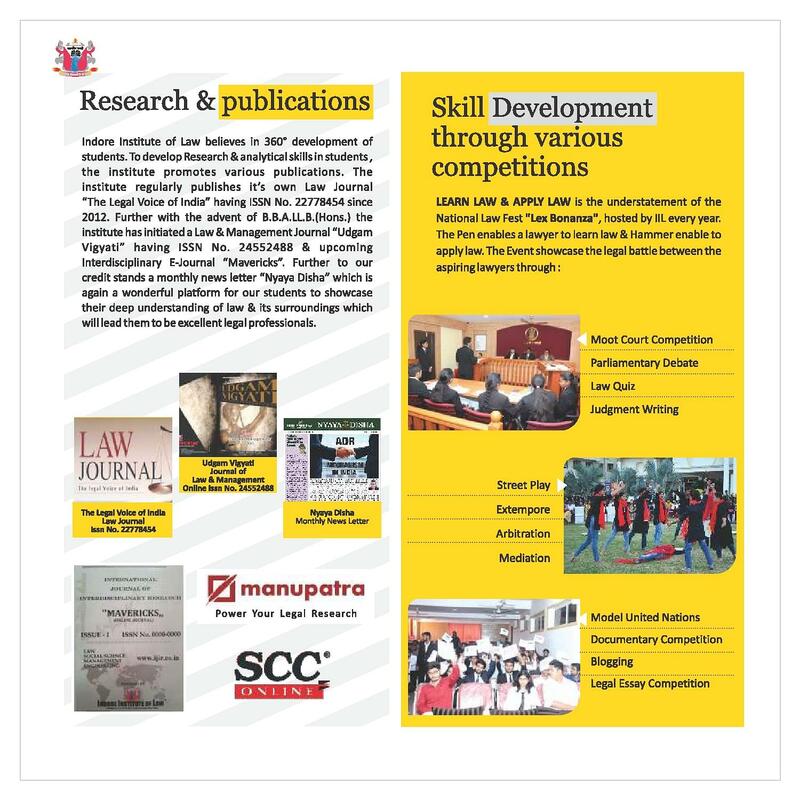 The central mission of the institute is to “Advance and disseminate learning of law” and to make the legal process an efficient instrument of social development wishes to establish a new standard of excellence in legal education and emerge as a premier center for legal education and research. 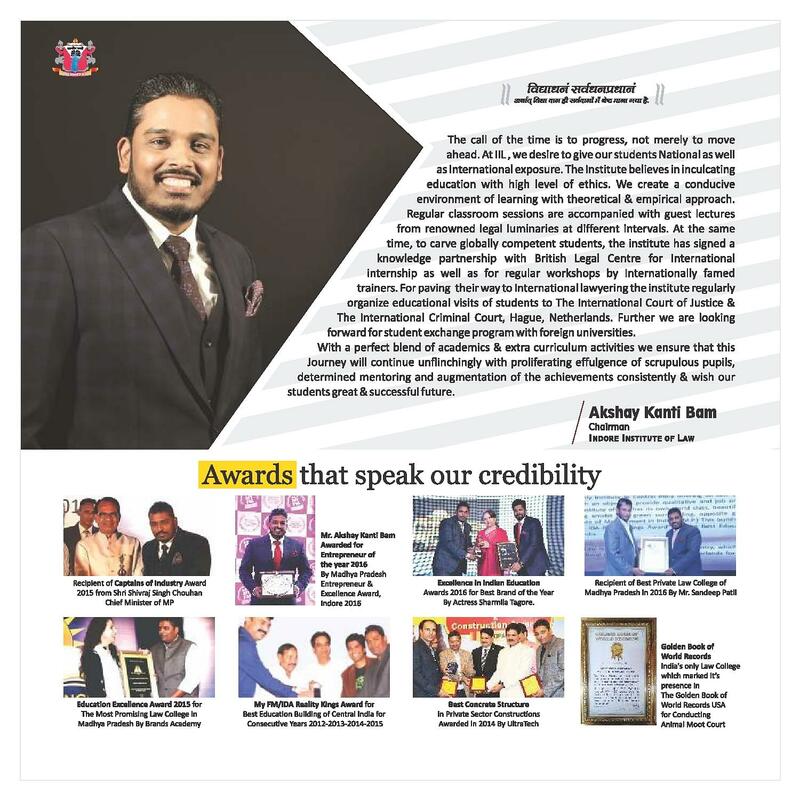 Icon Education Society (I.E.S) as a first step to achieving its objectives, decided to set up a college to provide specialized, high-quality law education for professionals, coupled with all basic infrastructure facilities. 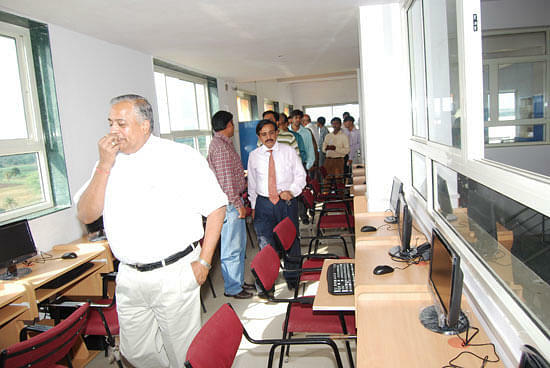 Activities like “Online essay competition”, “Open campus drive” etc are organized by IIL. Placement Cell: Placement week is held on December, January and February where recruiters from top law firms, corporate houses, and other agencies visit the campus and a Pre-Placement talks are organized to help the students to know the company or firm better and clarify their queries. Scholarships: Scholarship of Rs.31000 shall be awarded to the student of the institute if he/she tops the merit list of the university. IIL has a team of qualified & experienced academicians. IIL has 26 Civil Judges/ Many App/ ADPO/ Dy Collectors/ DSP from the Institute. IIL has sign letters of understanding (LOC) with Corporate/ Law Firms/ LPO for internship & Placement students. without entrance exam admission possibility hai kya college mein please Someone tell me. Hi jeevika, You may please contact to this number:- 099770 91777 for getting the admission detail. IILET cut offs of previous year's is not given. Please someone tell me last year's cut off. I have not attempt any exam for this collage i have got the collage in coucilling base or in 12th % base. No admission test required you have to required pay the fees and u got admission.